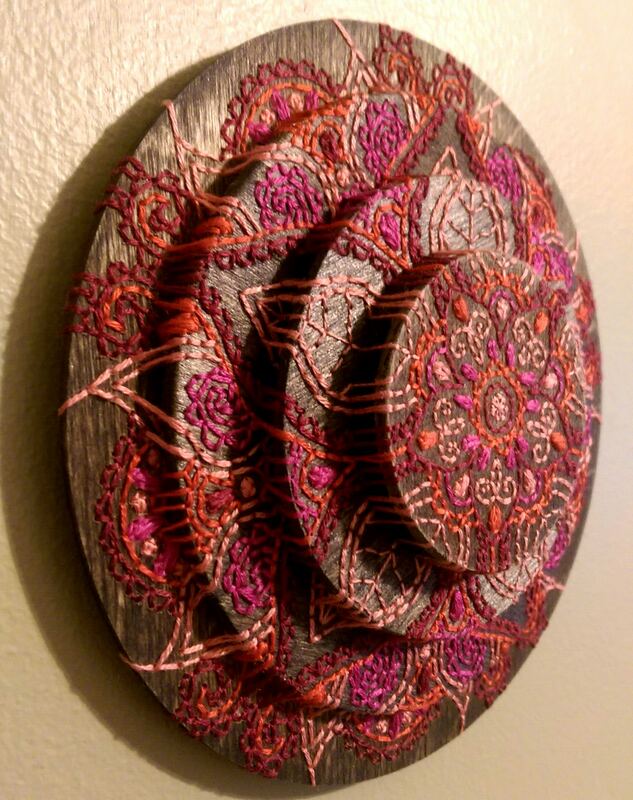 This stacked wood stitching I did for the ‘In the Round’ show, November 2014, at Graven Feather studio feels like a big piece but is actually only 5″ in diameter. 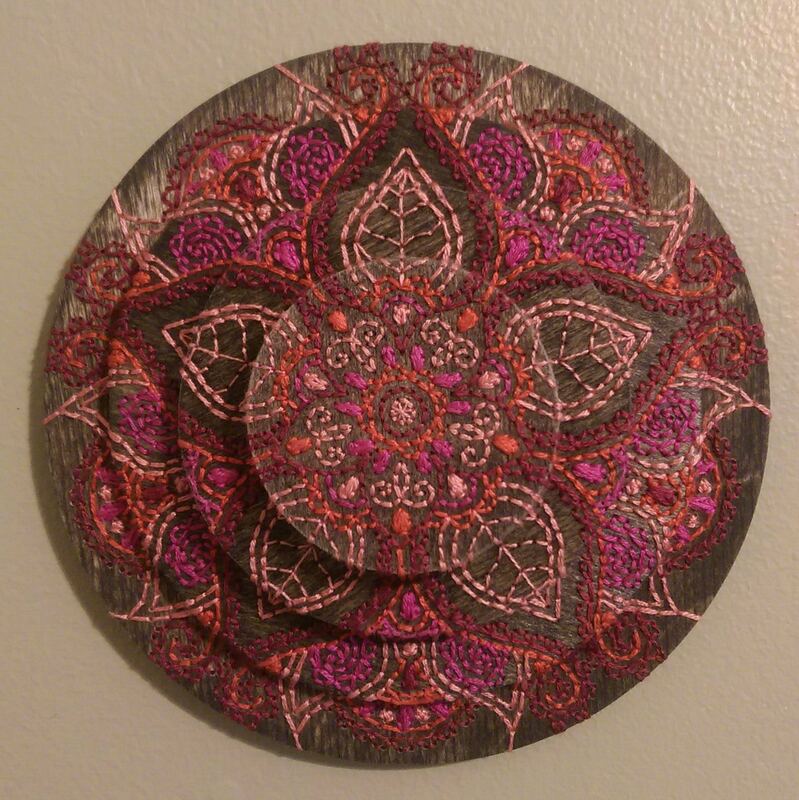 I LOVED stitching this piece, it was almost impossible to figure out the pattern when I started, the drill holes were so close together, I though I might go cross-eyed trying to figure it out, but it came together magically. I love how the stitching cascades down the sides and how sweetly intricate the stitching is. Truly a labour of love.